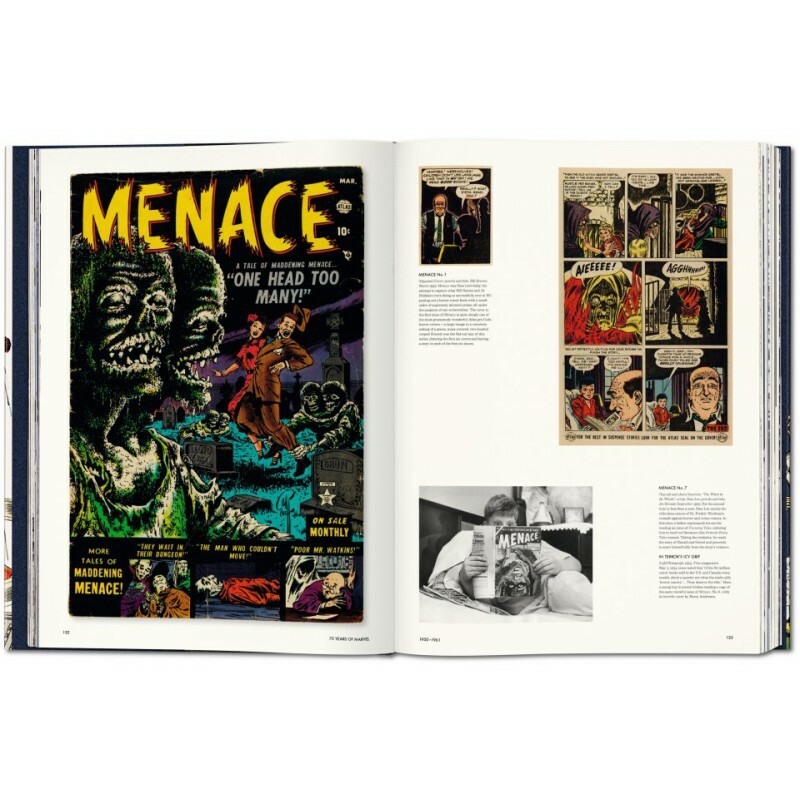 A mighty history... in Italian, too! 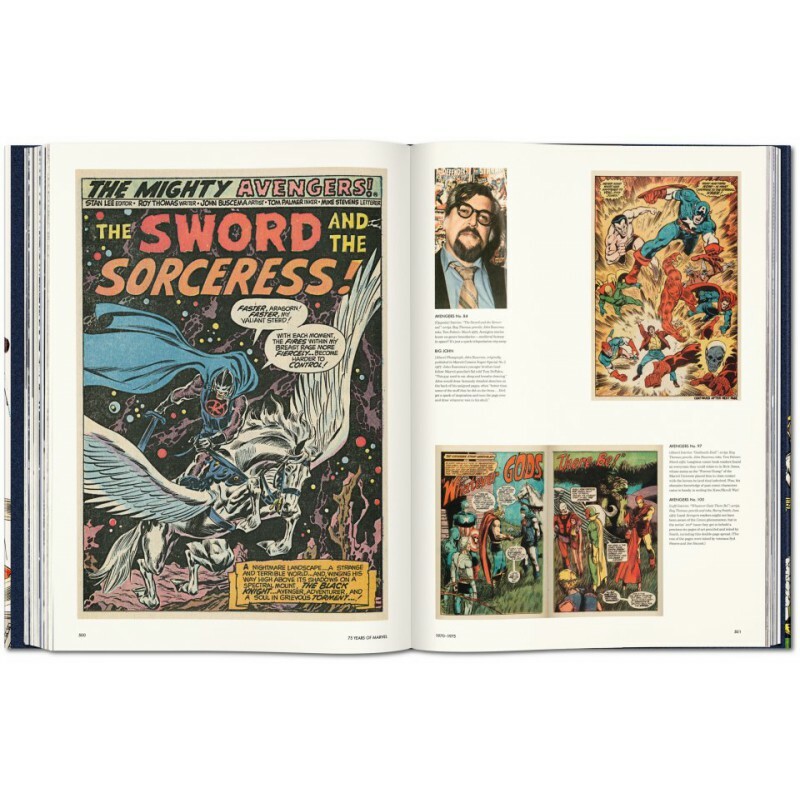 From the very first issue of pulp impresario Martin Goodman's Marvel Comics in 1939, the comic book creators of Marvel's Golden Age flipped the traditional fantasy script by placing the inhuman and the invincible into the real world. 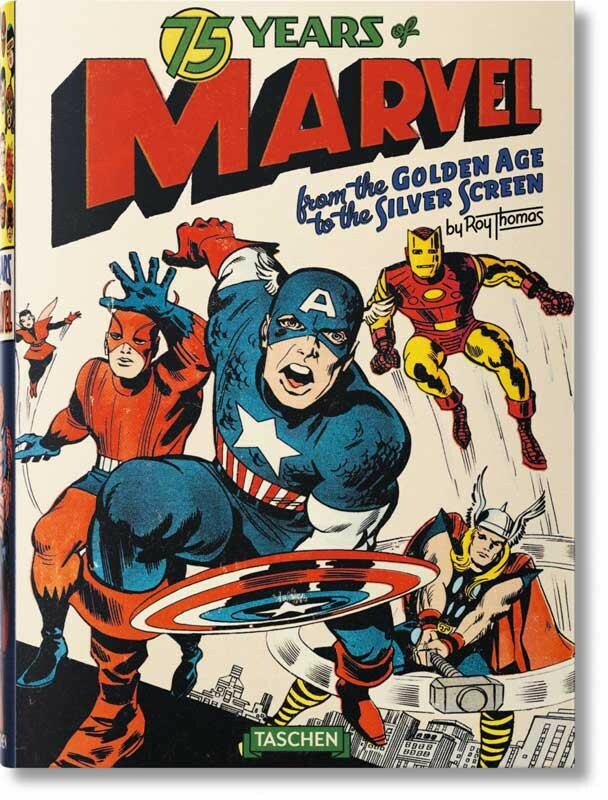 With the likes of the fiery android Human Torch, vengeful sea prince Sub-Mariner, and pip-squeak-turned-paragon Captain America, Marvel created a mythological universe grounded in a world that readers recognize as close to their own, brimming with humor and heartache. 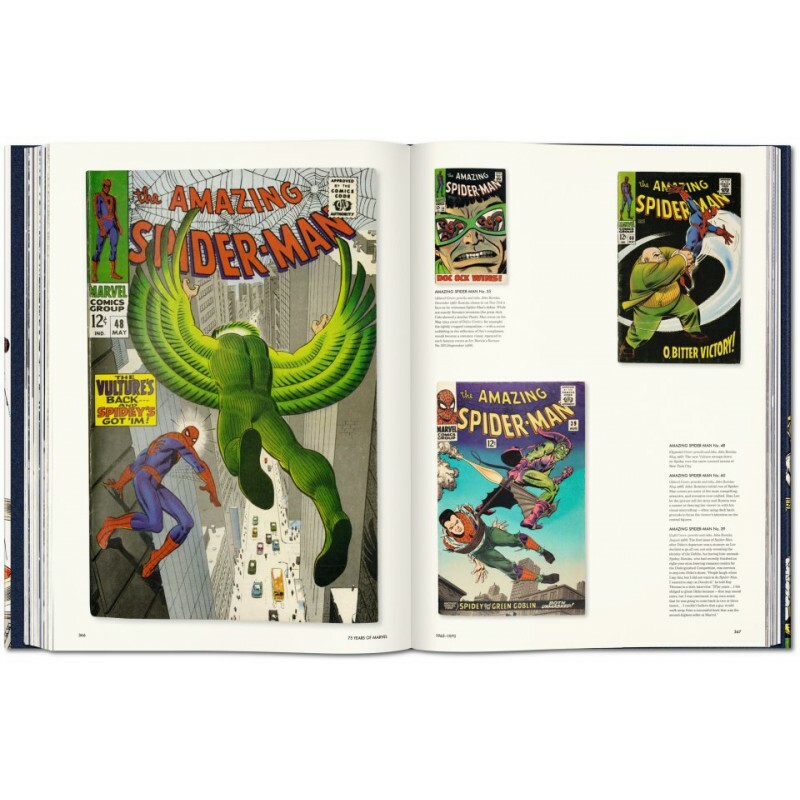 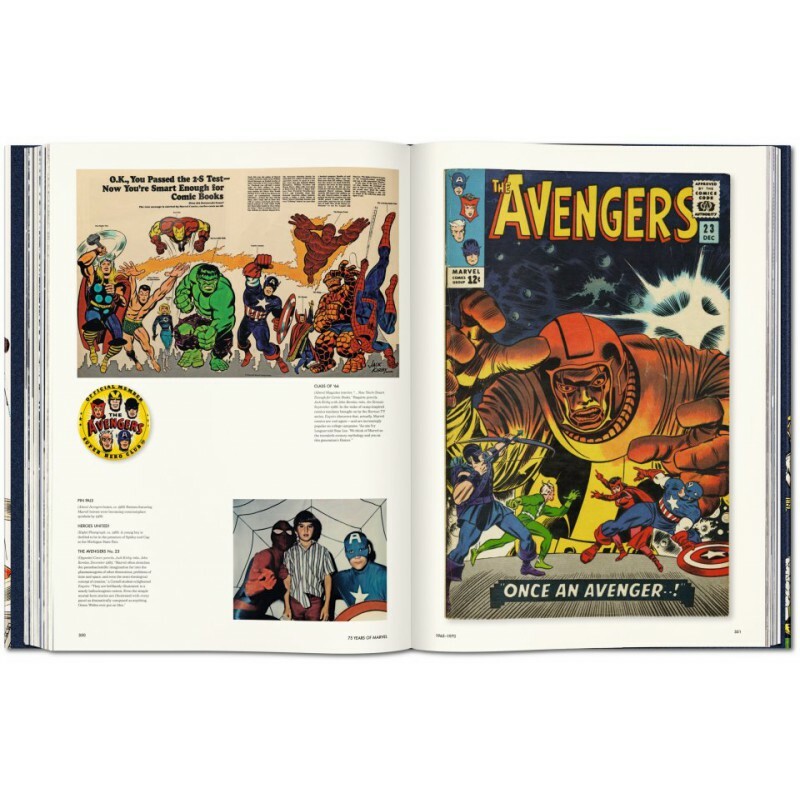 In the early 1960s, this audacious approach launched the creation of heroes who have since become household names—Spider-Man, The Incredible Hulk, the Fantastic Four, Iron Man, the Avengers, Thor, the X-Men—the list goes on. 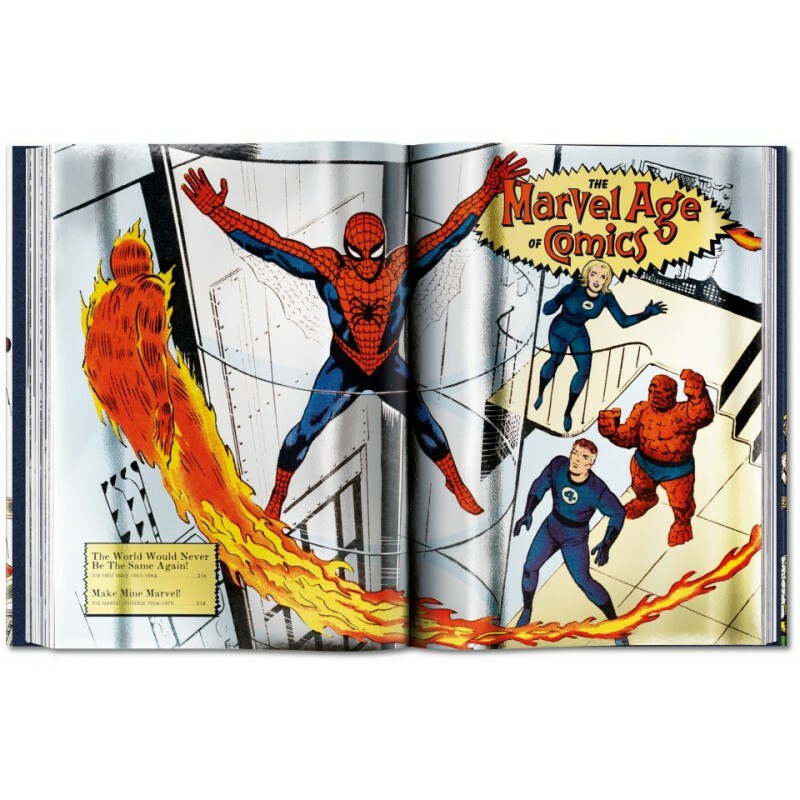 Fans still celebrate it as the Marvel Age of comics, an era populated by a pantheon of bickering heroes, misunderstood monsters and noble villains. 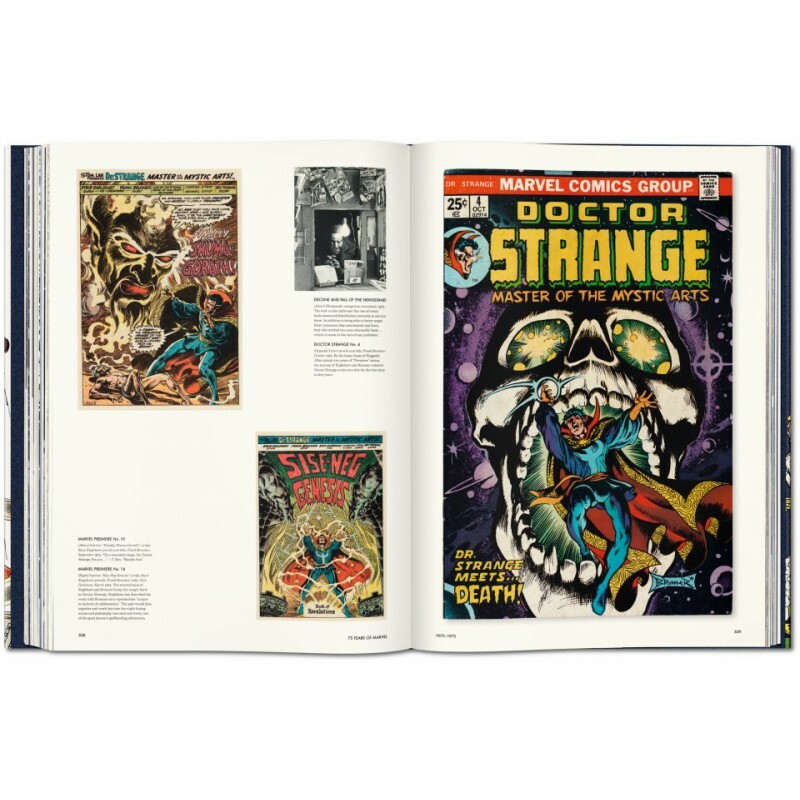 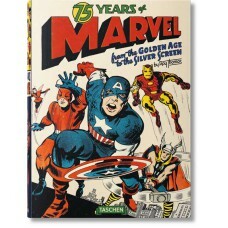 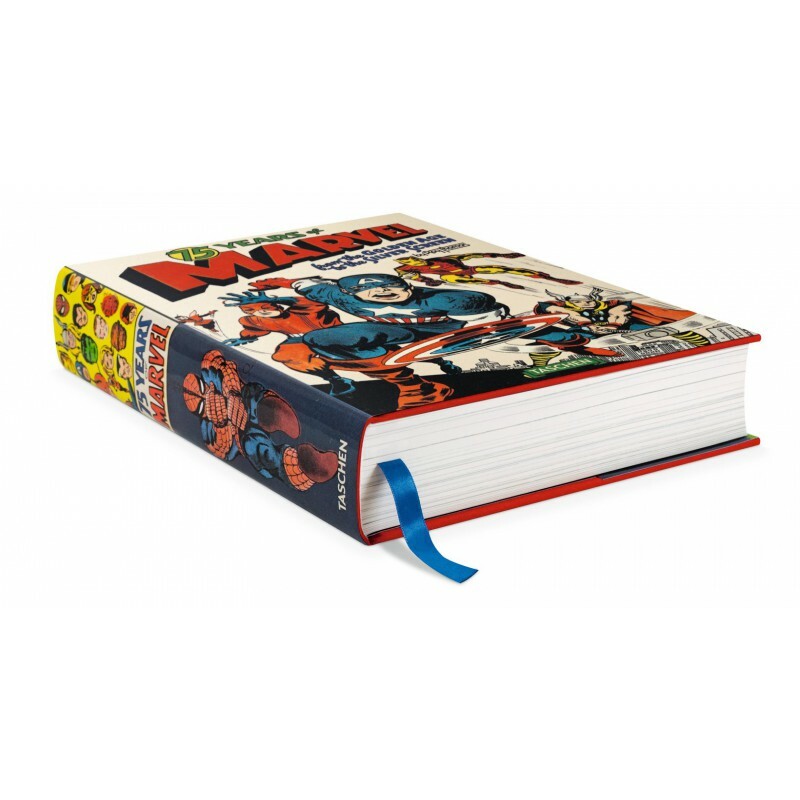 In celebration of Marvel's 75th anniversary, TASCHEN presents a magnum opus of the most influential comic book publisher today, with an inside look not only at its celebrated characters, but also at the "bullpen" of architects whose names are almost as familiar as the protagonists they brought to life—Stan "the Man" Lee, Jack "King" Kirby, along with a roster of greats like Steve Ditko, John Romita, John Buscema, Marie Severin, and countless others. 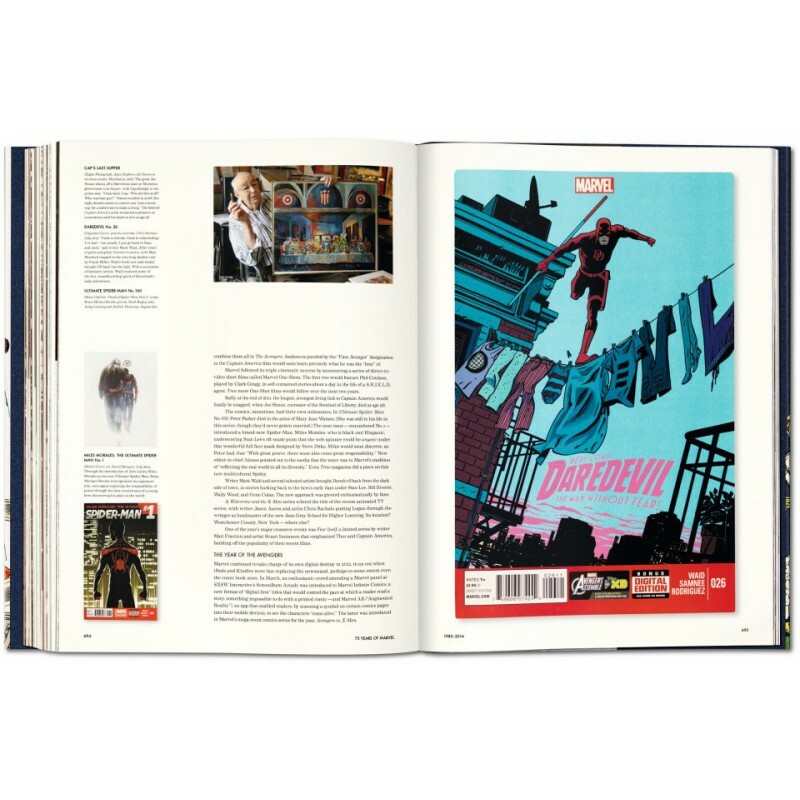 With essays by comics historian and former Marvel editor-in-chief Roy Thomas, this book delves into the heart of thousands of costumed characters who continue to fight the good fight in comics, movies, and toy aisles of the world. 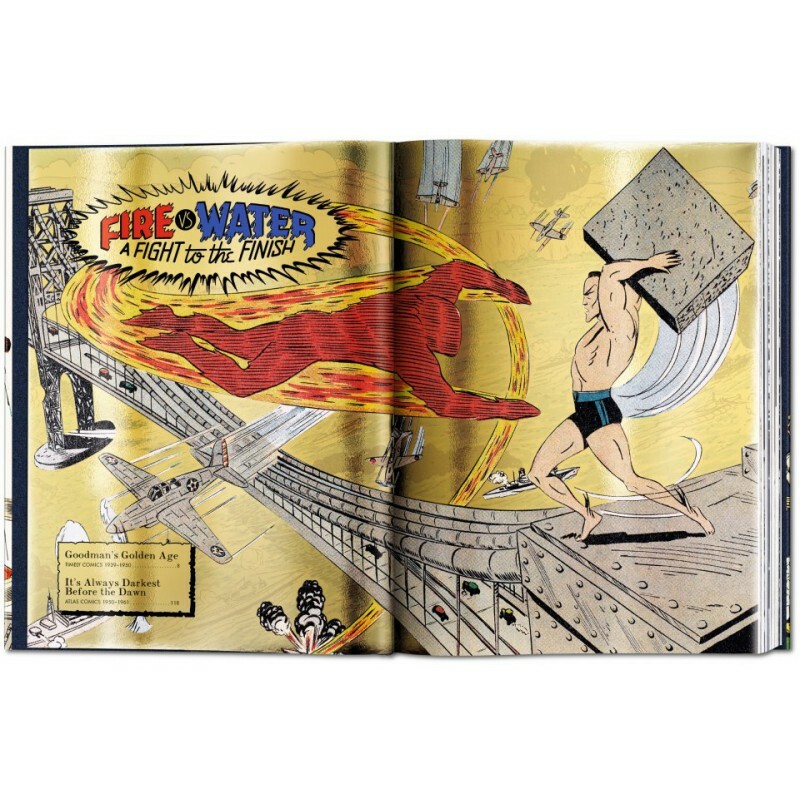 Josh Baker has been making books for TASCHEN since 2005. 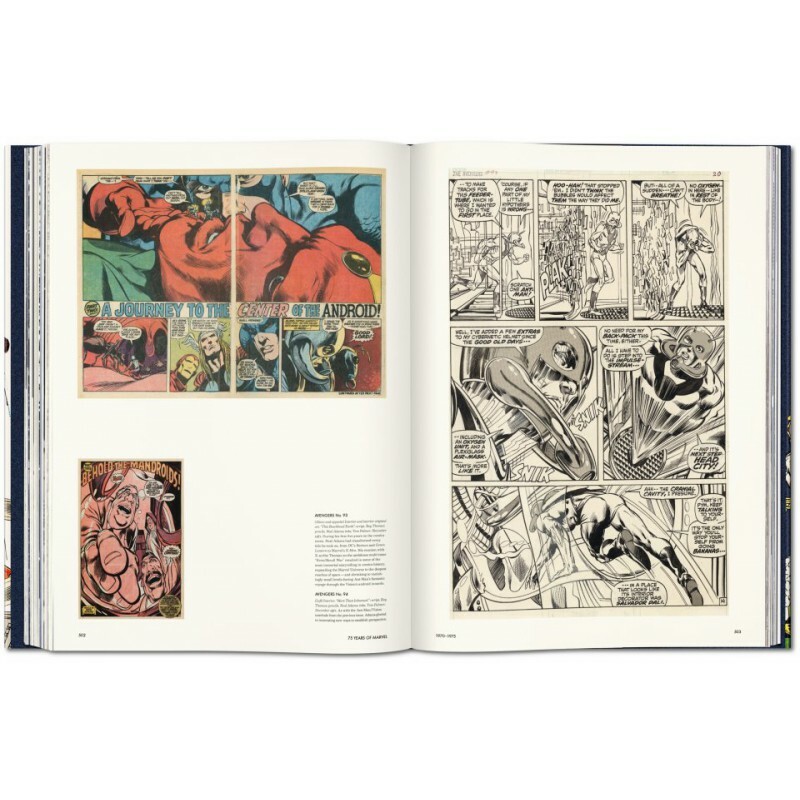 His one hundred-plus book collaborations include signed limited editions by Dennis Hopper, Bert Stern, and Ellen von Unwerth, and best-selling pop culture titles such as 75 Years of DC Comics and Norman Mailer’s Moonfire. 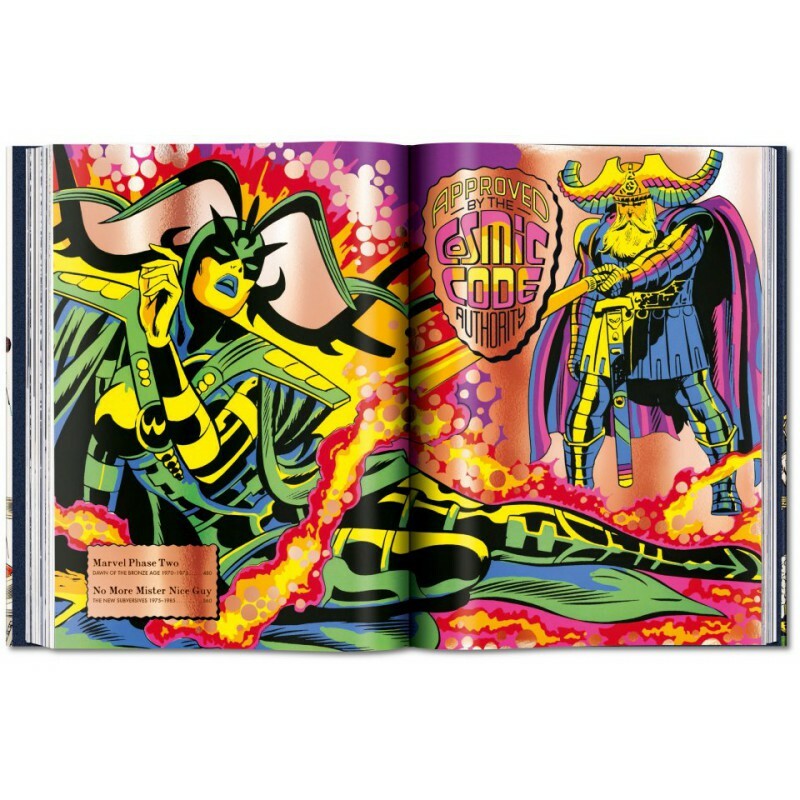 He lives in Oakland, California.